When living in a world of chaos, it shouldn’t be a surprise on the requirement to select a random row from a table. Randomness helps to make an otherwise static web page a bit more dynamic. Or it helps to rotate a banner or an ad or a forum post and so on. I looked at the various methods of selecting random rows from a table and wanted to write down what I have done for the system I am working on. I have a table where there is an ID field that is auto incremented. In addition, I already have a need to fetch the latest ID. This is mostly the MAX(id). However, I also have a status field that prevents rows with a certain status to not show up. Here is how I ended up with fetching a random id. Here, I have an index on creation_date. So, the cost of essentially executing the above query is traversing down a b-tree index from the maximum value side and resolving the rows in the table to filter by status and get the first row. Assuming most of the recent rows have a status of 1, the number of rows resolved using an index should be 1 or just a few. 2) Then generate a random value with the above fetched id as the max. Keep doing this till the value is != 0. This is because, the ID starts from 1 in my case. Also, it’s possible to have other variations such as the ID being more than x% of the max ID. This typically helps in fetching a more recent random row if that’s what is desired. quite efficient. Just to keep it generic, loop through steps 2 and 3, till a row is identified. In large data sets, it’s likely to always find a row eventually, but just in case, have contingency for not finding a row after, say N (perhaps 5) iterations. display both the latest row(s) and a random row, this technique is quite efficient. Wikipedia comes handy to do research when major events like yesterday’s (PST time, not WordPress’s GMT) Benazir Bhutto’s assasination happen. With this recent sad event comes a commonality between India and Pakistan. 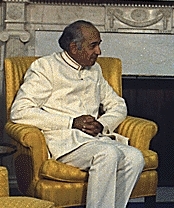 India’s Prime Minister Indira Gandhi and her son Rajiv Gandhi who was also India’s Prime Minister were both assassinated. 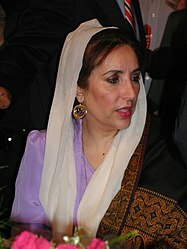 Pakistan’s Prime Minister Zulfikar Ali Bhutto and his daughter Benazir Bhutto who was also Pakistan’s Prime Minister were executed (through a controversial trial) and assassinated respectively. 3rd and 6th 7th 10th ??? It took me a while to assemble this information inspite it’s readily available on Wikipedia. Now if only all the Web 2.0 startups in the people “data mining” area such as Spock.com could do this automatically? Or may be the Freebase.com from Metaweb.com, the guys that are trying to create a semantic web. https://poeticcode.wordpress.com/posts.do?year=2007&month=12 (this is not the exact link that wordpress uses). This is usually a good approach, especially since it’s considered as a SEO friendly format. However, with this approach, one issue is that the generated HTML assumes the base of the document to be all the way up to /2007/12, when in reality, your base is actually at /. So, this can be easily fixed by using the BASE tag of the HTML. If you are like me, who maintains a separate test site and a production site, then it gets a bit tricky. This is because of two reasons. One is that the name of the test and production servers is different. Second, the test server may not be setup to be starting from the root directory (/). For the first problem, it may be tempted to write the base tag with href pointing to just ‘/’. However, as per the BASE tag reference at w3.org, “This attribute specifies an absolute URI that acts as the base URI for resolving relative URIs.” That is, the base tag’s href has to be absolute. So, the following perl code help to fix up this base tag. I am sure this technique can be extended to take care of the http scheme (http vs https) and the non-default port. I needed a textarea html editor so that I could copy and paste some HTML content from one page into the system. After a bit of a research, I first tried out Yahoo! User Interface Library (YUI). But then I had to give up that as it was both slow and also got confused when there are multiple textareas in the same page. After a bit more research, I came across TinyMCE which is fast, worked with multiple textareas, easy to integrate and best of all, it’s licensed under LGPL. BTW, I use Firefox and so one of the criteria is to use a solution that works in Firefox. There was another application I tried out before TinyMCE but abandoned it as it works only with IE. Also, my specific application is used only by me (the admin) and so I don’t care for cross-browser compatibility. Just that it works in IE. So, I came across Mozilla’s own rich text editing solution but gave up when I realized in that solution that it works with iframes. My criteria is to be able to easily integrate into existing html form that’s already using the textarea elements. Where is Google In WordPress’s Referrers Report? WordPress gives Referrer details so that you know where your visitors are coming from. I have seen answers.com, dogpile.com and a plethora of other websites but I haven’t seen Google, Yahoo!, MSN/Live. I know I do have traffic from these websites. When you get more than 200 hits to a single page on a Christmas day, you know there got to be a few of them coming from these search engines. So, that’s when I looked at the past history and noticed that these top search engines are never shown in referrer links. Ofcourse, WordPress shows the “Search Engine Terms” statistics. But I would like to know how many of those are from Google vs Yahoo! vs MSN/Live vs AOL vs Ask.com. Most people know Mozilla and most geeks may know Bugzilla. But what about Childzilla? Yes, the there is a website called Childzilla that tracks the chores and reward points of kids. Is the name of this domain chosen by the owners to indicate that it’s an application appropriate for kids who are well, as scary as the Mozilla logo or it’s a tracking system similar to Bugzilla? Besides the name, I think it’s a cool online system and best of all it’s for free. So, why not all you parents out there give it a try? It is important to realize that even a small website, even it is not profiting, should give importance to the security. Many users use the same password or a little variation of it when registering at many websites. So, a compromise to the password at your small website can lead to a bigger problem at a more serious website for your user. 1. Always ensure to one-way encrypt user passwords. You only compare the encrypted password with the encrypted user-input at the login time to see if they match. With this model, there is no password retrieval mechanism. User has to request for resetting the password and you just send an email with a url containing a large key that’s hard to guess and when the user clicks the url, you can let the user reset the password. As there is no connection pooling or an application level connection management with simple cgi-scripts, the tendency is to have the above piece of code in each cgi-script. This essentially means that the database password has been written in plain text in multiple files. One choice is to put the connect statement in a file and include it into all the scripts that require database connection. With this, it’s easy to change the database details as necessary in a central place. In addition, ensuring proper read file permissions to this single file is sufficient to a large extent.